Although the six-mill levy has drawn support from many groups, there are critics of the tax and the university system it supports. The organized opposition has centered around a group called Montanans Against Higher Taxes. Editor’s note: This is the second in an 11-part series of stories previewing statewide issues and candidates on the November midterm election ballot. The stories are the work of Community News Service in the University of Montana’s School of Journalism. (Community News Service) While talk of reductions at the University of Montana has grabbed a lot of the attention, the decisions Montanans make at the ballot box this fall may have much broader implications for the state’s eight public higher education institutions. 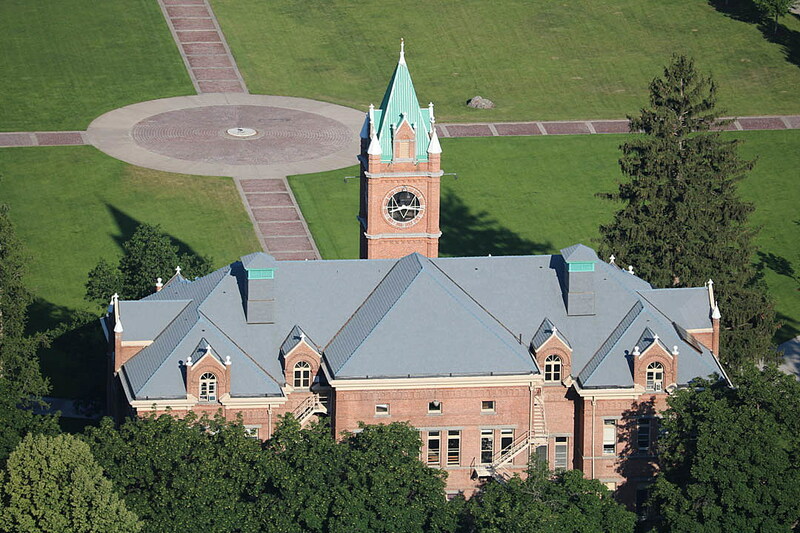 Organizations and people across the state of Montana have been working to make sure that voters continue to support the property levy that has been a critical part of higher education support in the state since 1948. The levy is a tax on property values. Montanans pay about 12 cents for every $1,000 in assessed value, so the levy amounts to $24 a year for a $200,000 home. In order to appear on the ballot every 10 years, the levy had to be introduced, discussed and passed by the Montana Legislature. Former Democratic senator Mary Sheehy Moe of Great Falls authored that bill to put this year’s levy on the ballot. She said the fact the proposal passed with relatively little pushback in the Legislature should demonstrate to voters this is a bipartisan issue. The measure, if passed, provides about $20 million to eight different Montana University System campuses every year. This represents about 10 percent of the overall support higher education receives from the state. The funds are deposited into each campuses’ “unrestricted funds” account and may be used at the discretion of the institution’s administration, said Bob Brown, a UM and MSU alum and former Secretary of State. Brown has campaigned for the passage of the 6-mill since 1978, and is the spokesperson for this year’s coalition organized in support of the levy, Montanans for the Six-Mill. Brown said having the levy on the ballot every ten years is part of a “healthy democracy,” pushing the university system to engage the public and explain why higher education is important. Moe agreed that voter approval provides a check on university system. She said the Board of Regents is now far more independent than in the past, and Montanans need to have a way to approve of the Board’s actions. The pro-levy group has drawn support from several key constituencies, including key Chambers of Commerce, the public employees’ union and university alumni and student organizations. Although the levy has drawn support from many groups, there are critics of the tax and the university system it supports. The organized opposition has centered around a group called Montanans Against Higher Taxes. Organizer and former Green Party candidate Timothy Adams agreed with Moe that the Board of Regents is increasingly independent, but that is part of his argument against renewing the levy. Adams argued that he thinks the Board may not always have the best interests of students at heart, pointing out that some of its members are higher-ups at banks and insurance companies that have a stake in the number of students at Montana universities. Adams said administrators are overpaid while not being held accountable. He said he does not trust administrators or the Board of Regents to make decisions. Some opponents target their concern not at the support for higher education, but at the way the money is raised. The 6-mill is a property tax that voters would be imposing on themselves and that is what worries State Sen. David Howard, R-Park City. Properties are now being reappraised every two years, he said, and the levy increases the cost of homes and property and could drive senior citizens out of their homes. Ideally, he would like to see the Legislature restructure appropriations to lessen tax payments. And his worries seem to be finding some backing among the public. Support for the 6-mill levy appears to have weakened over time. In 1978, the tax passed with 67 percent of the vote. That dropped to 64 percent in 1988, 61 percent in 1998 and 57 percent back in 2008. Supporters argue that if the referendum fails, students at Montana’s public universities could see an 18 percent hike in tuition costs. This story was produced by the Community News Service, a service of the University of Montana School of Journalism. Student reporter Marti Liechty can be reached by email at Marti.liechty@umontana.edu.